« Apples Needed – can anyone supply us? 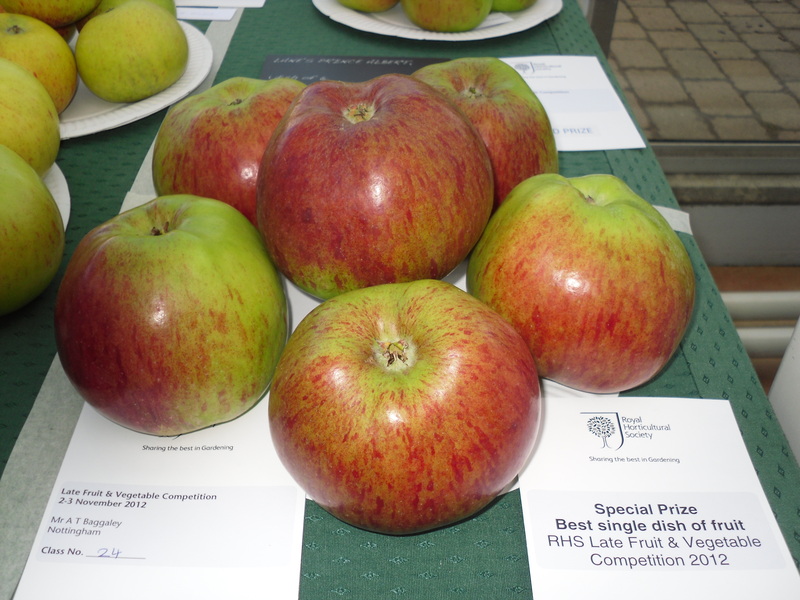 Congratulations to our man from the north, Adrian Baggaley, who scooped so many prizes this year at the Royal Horticultural Fruit Shows to make 21012 his personal best and he took all the ‘Special Prizes’. 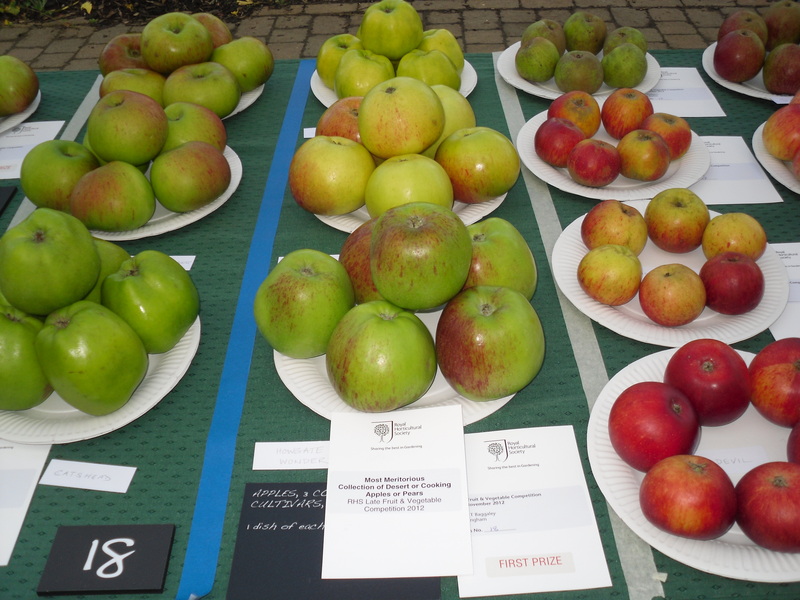 At the November RHS Show at Wisley he won both the ‘Special Prize for the Best Single Dish of Fruit’ with six specimens of Howgate Wonder and the ‘Most Meritorious Collection of Dessert or Cooking Apples or Pears’ with Howgate Wonder, Peasgood’s Nonsuch and Lord Derby.